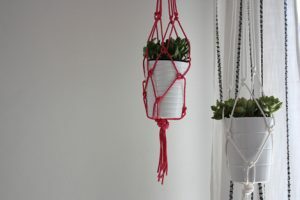 The macramé technique comes handy for making all sorts of home décor items and accessories, from wall hangings and curtains to bracelets, belts, and jackets. 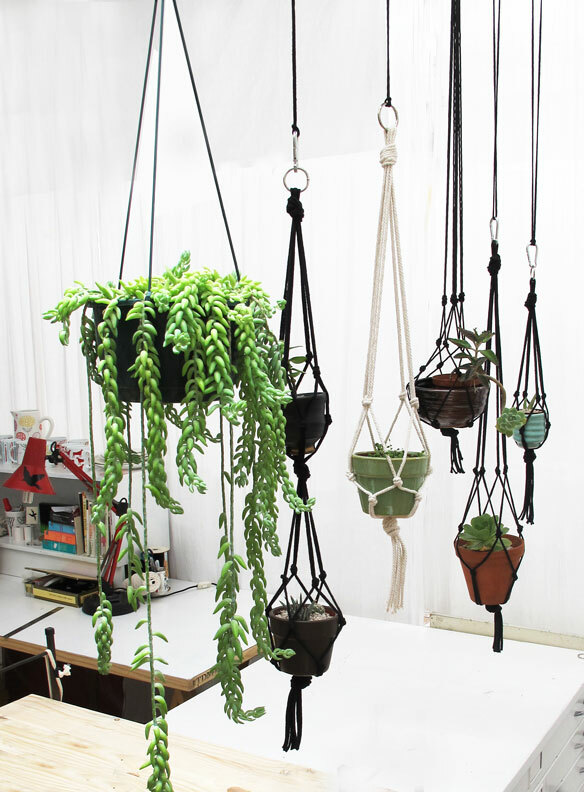 It is often the best option when it comes to handmade designer plant hangers. 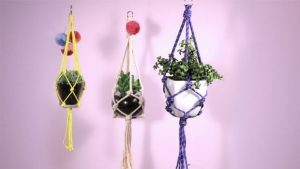 If you love gardening, but don’t have any open space for housing plants, think about having a hanging garden, where you can grow your favorite orchids and flowers in small pots and baskets hanging from rope hangers. 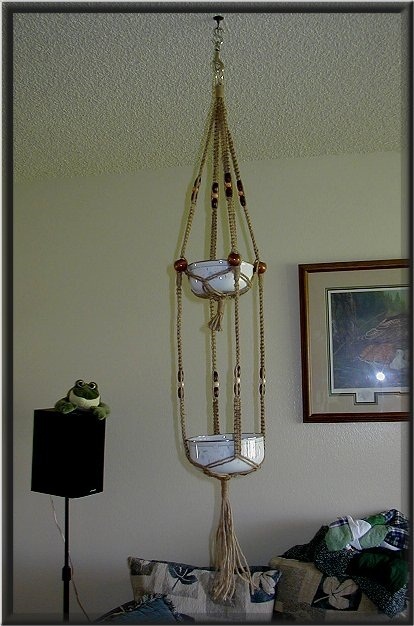 Once you master the technique enough, you can try to make the end product even more special by adding small wooden beads to the hanger. 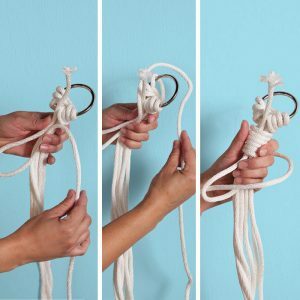 One of the simplest patterns, this one is suitable for you if you are just learning the basic macramé method. 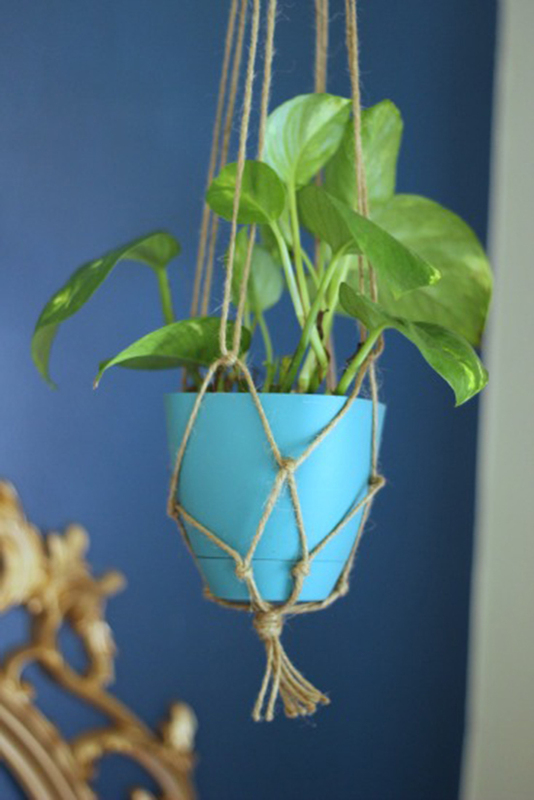 Yet another pretty and simple pattern, the green color really suits a plant hanger. You are free to use any other color for a vibrant hanging garden. 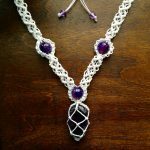 This one does look quite intimidating with its textured handiwork and multiple stranded designs. 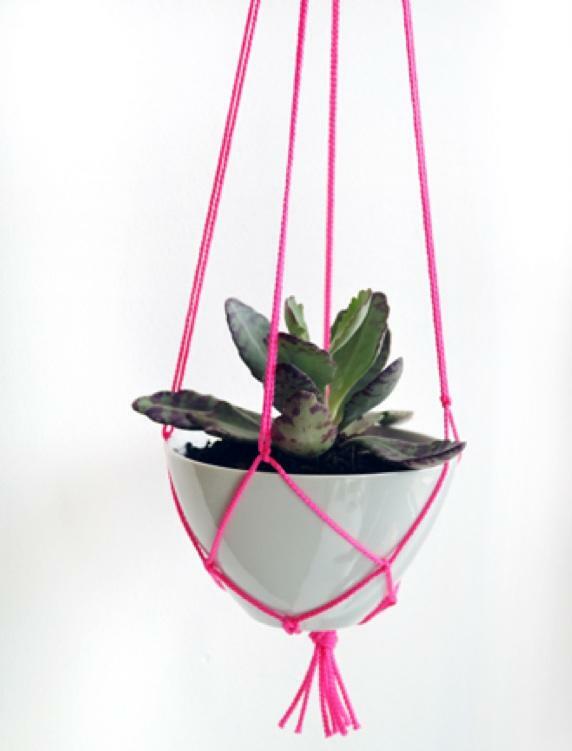 Check the DIY instructions and you will know how to work it. 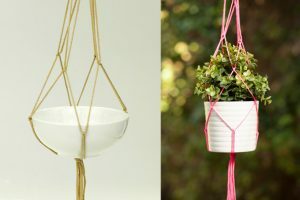 Here you can see how the same pattern for a simple plant hanger can look unique by the use of differently shaped pots and baskets. 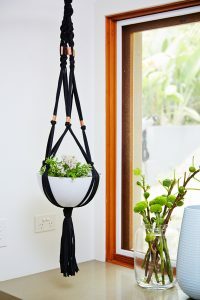 Just a basic net-like hanger made out of nylon thread, this one can transform your indoors by giving it a classy yet contemporary look. 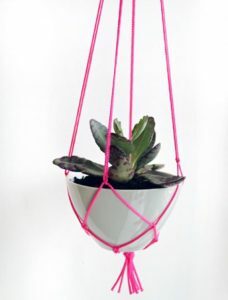 The color pink is looking really nice against the pale white background, but you may want to pick a color that would match your interior to create a striking contrast. 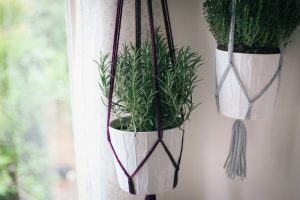 A mini plant holder pattern, you can use a longer rope and adjust the measurements to make a bigger plant hanger that will support larger pots. 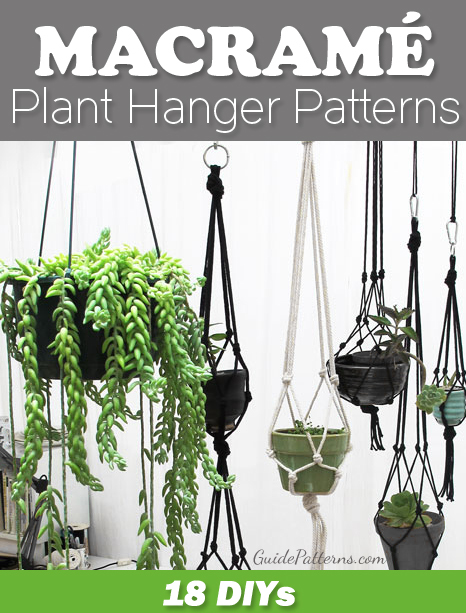 Here is a simple two tire plant hanger pattern for those of you looking to accommodate more plants in lesser space. The most basic and classic one made with twine, this one is ideal for small lightweight plants. 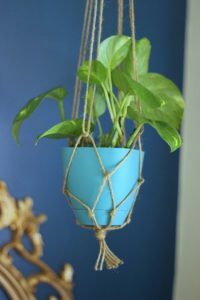 It can even support moderately heavy pots, but it is better to avoid the risk of the twine breaking due to too much weight. 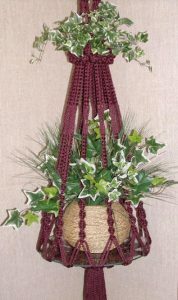 This pattern uses the half square knot to create the pretty clustered design. Follow the link to get the step by step instructions with pictures. 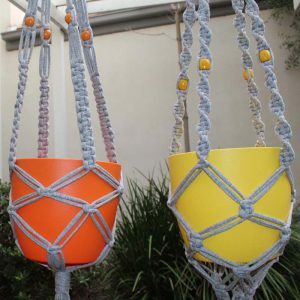 Make these easy plant hangers in any color you like and use white or multicolored plastic pots to convert your balcony into a creative greenhouse. 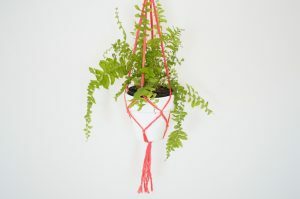 As the name suggests, this pattern is ideal for teaching your kids about the wonders of the macramé technique. Using multi-colored ropes would make it more interesting for them as they have fun creating a little something for their home. 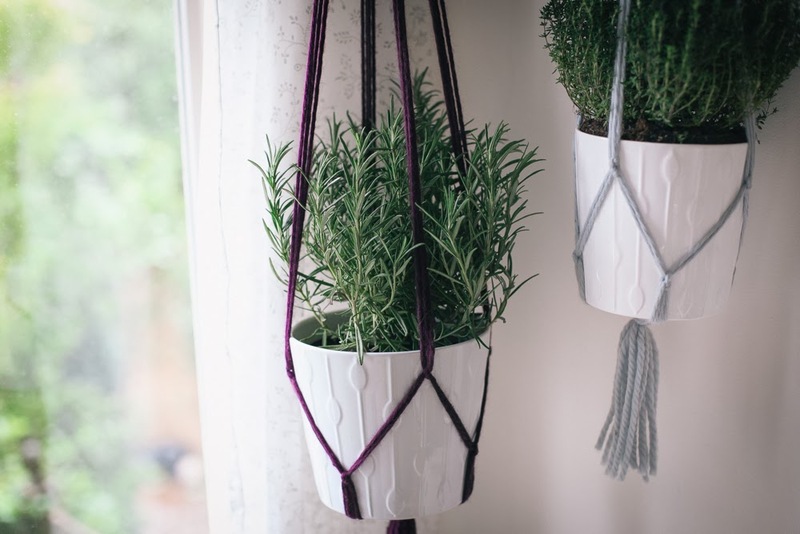 Stylish plant hangers are a great way of giving your house a nice makeover while contributing to a cleaner environment. 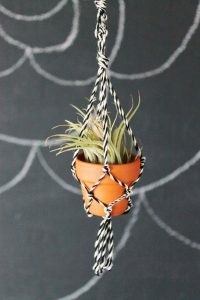 It also allows you to utilize leftover cloth tie and scrap ropes in a fun and creative way. I love the micro macrame. 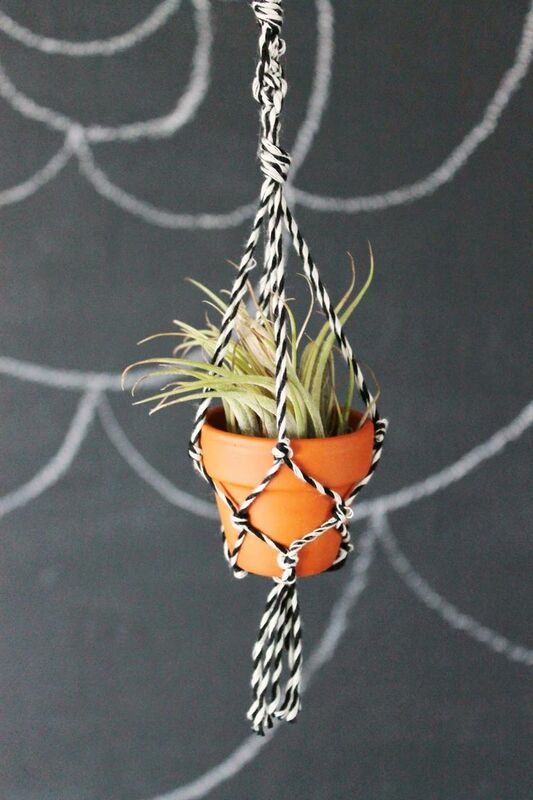 A nifty way to spruce up the door. how do i get the instruction? Hi Katherine. Just click on the green headings above the images and you will be redirected to the tutorial page. Hi Florence. You need to just click on the green headings above the images and see the tutorials. Sorry for the inconvenience. You may check now. 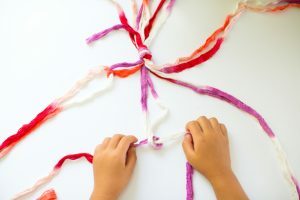 The article has been updated. Those ideas are very inspiration. wanna try one of them someday. Keep up sharing.. These patterns are great. I made a loin cloth from them for my husband. Both links I tried didn’t work.